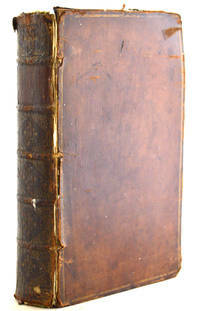 London: Stephen Austen , 1734 A fair copy in contemporary full leather binding with marbling to page edges. 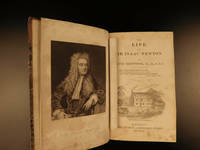 With frontispiece portrait of Isaac Barrow and a folding plate. Classed as 'fair' because the binding has wear and the front board is detaching. Isaac Barrow (1630-1677) was a mathematician, classical scholar and theologian. 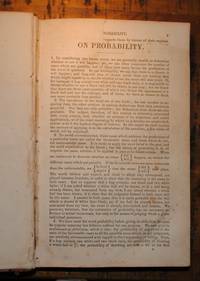 He is principally known for his work on tangents and Calculus. He was one of Isaac Newton's teachers. 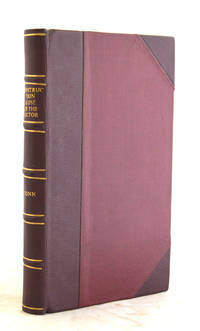 The binding has raised bands to spine and the remains of gilt tooling. There are gilt lines to the boards. The spine has wear and loss to top and bottom and there is wear to corners - but it would be an easy leather repair. 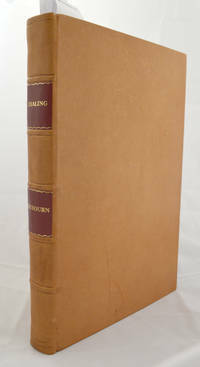 Contents: frontispiece; title page; blank; contents listing and errata pp iii-vi; Prefatory Oration pp vii-xxxii; text in 3 sections with half titles pp 1 - 440; folding plate; index 12pp; Names used in the Work 4 pp; Finis. The contents are generally very bright - with clean white paper. There are 2 repaired page tears (without loss) to pp 3 and 99. There is a faint pencil signature to the bottom of p xxxii. and some ink notation to the front endpapers.